Atec pitching machines are an industry leader. 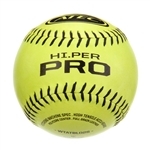 Excellent option for batting practice throwing fastballs, curveballs and change-ups. Choose between Atec M1, Atec R2, and Atec M2 & M3 machines.